A pioneering urine testing system has been recognised in the prestigious Red Dot Awards. British company Clinical Design received a distinction for high design quality for its Urine Testing System, which will be launched to market shortly. Clinical Design Founder and CEO Oliver Blackwell applied a Human Centred Design approach to tackling the inefficiencies in urine testing. The most common diagnostic test in the world -­ 2.8 billion urine tests are undertaken each year - the process is the same whether carried out in a bush clinic in the Sudan or a top London hospital. Manual urinalysis can be unhygienic and subject to variation, with risks of spillages, contamination, and errors in analysis and transcription of results. Blackwell spent nine years working closely with senior clinicians to overcome the challenges and devise a system that is hygienic, easy-to-use and accurate. The result is Urine Testing System: a highly intuitive, closed system designed to improve the entire process, from receiving the urine sample and recording results, to analysis in the laboratory. Blckawell said: "I am delighted that the panel at Red Dot recognised the delivery of a complex product in such a simple form. Working closely alongside clinicians, we challenged the inefficiencies and methods people had come to accept ­ we scrutinised every aspect of urinalysis and asked a lot of questions. 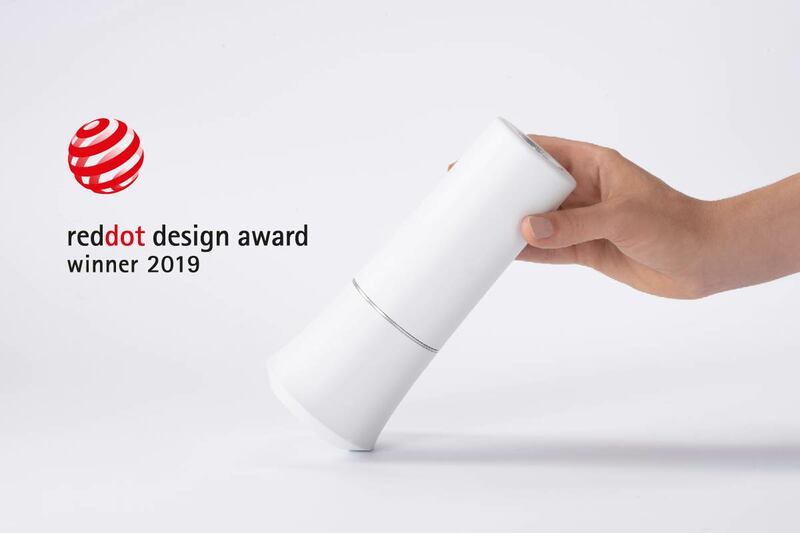 The Red Dot award proves to me that I asked the right questions and managed to appropriately translate the answers."